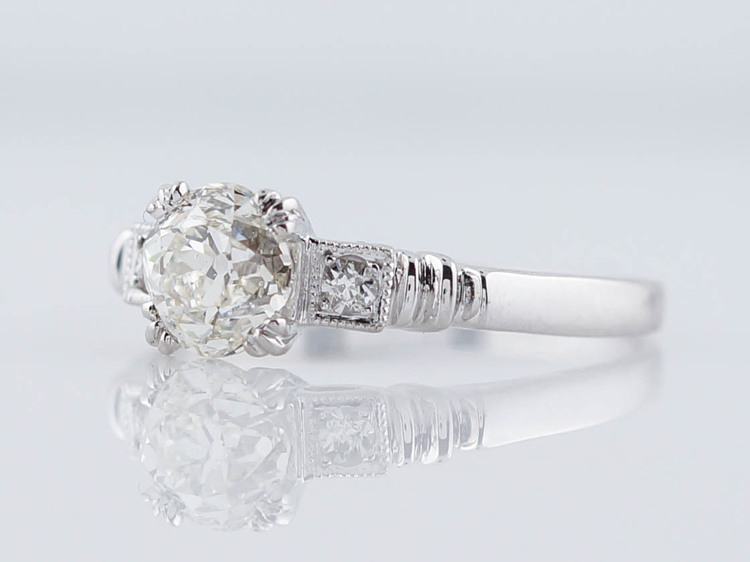 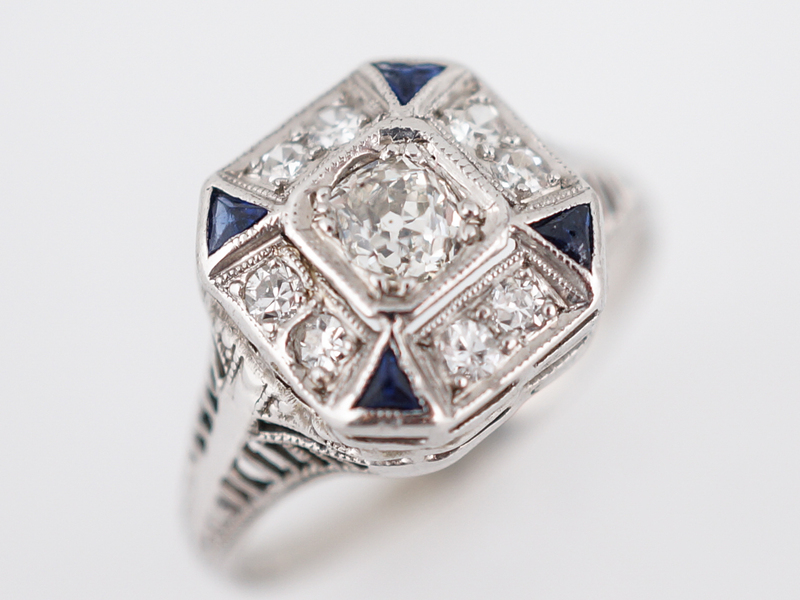 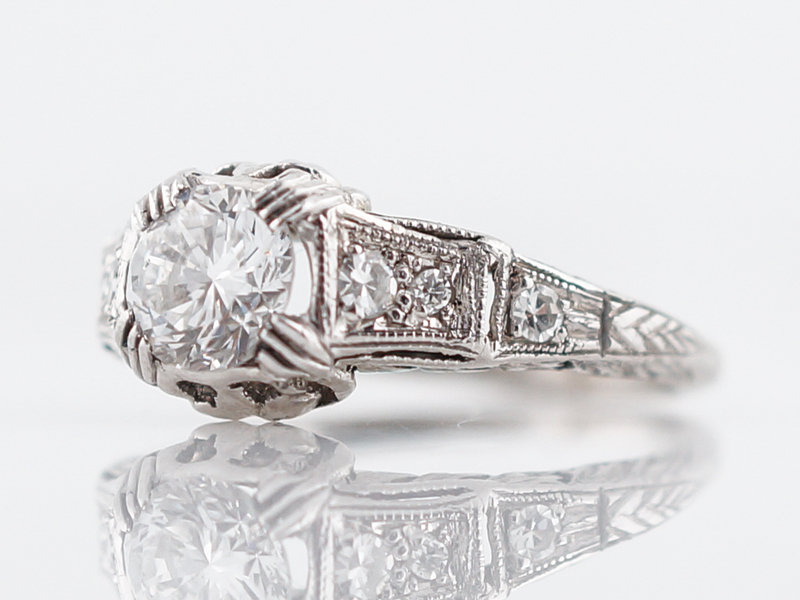 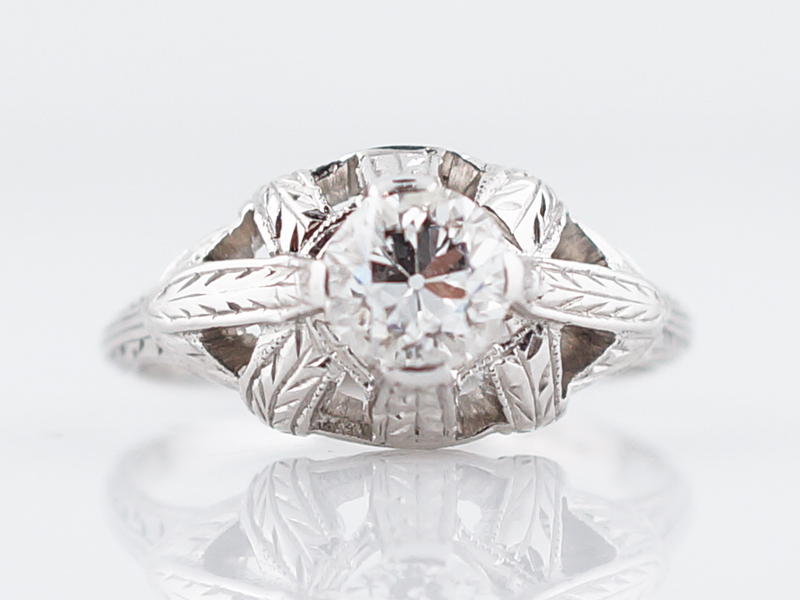 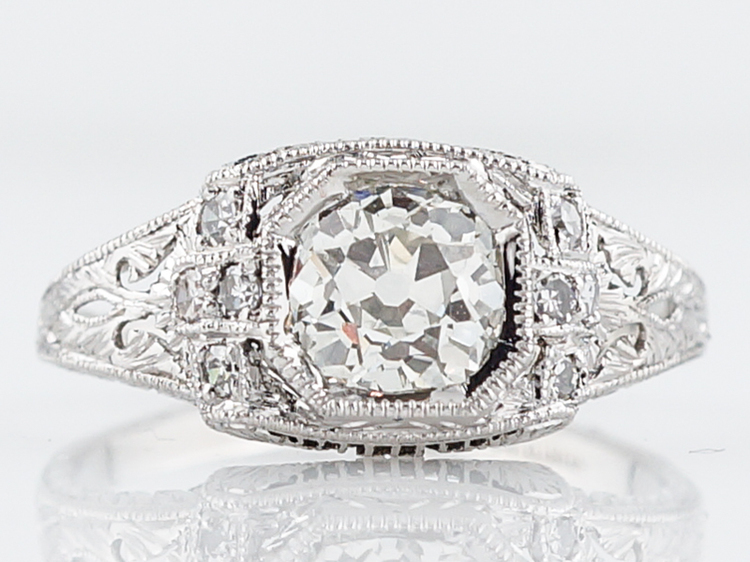 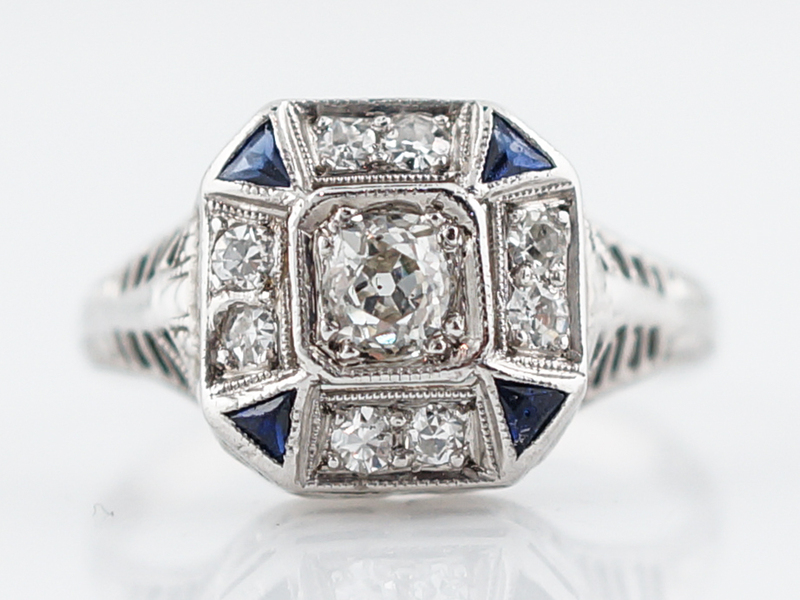 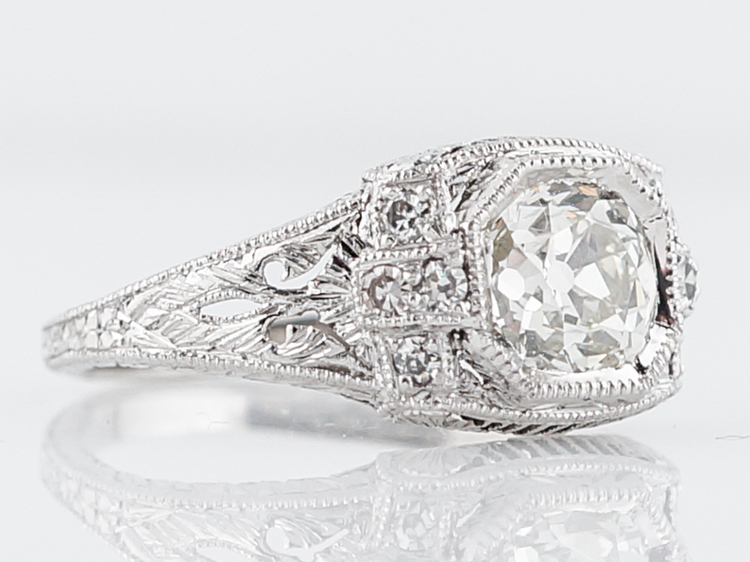 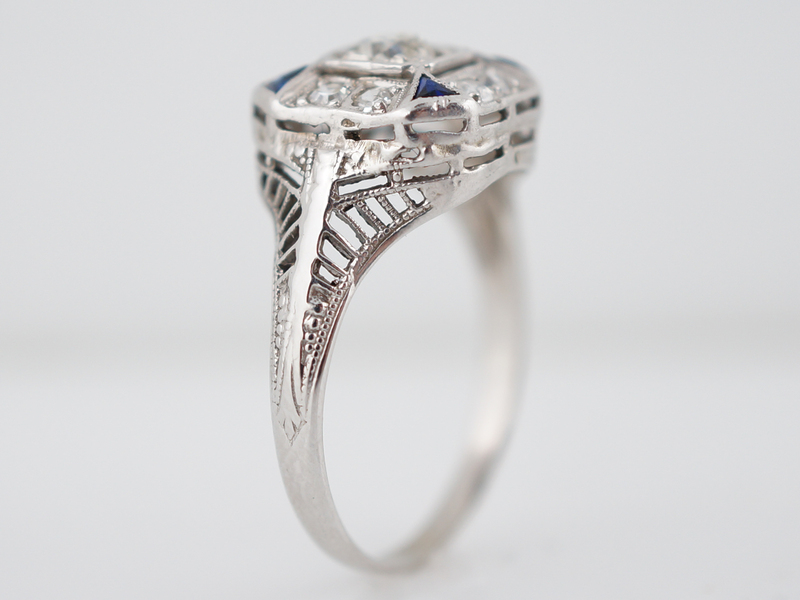 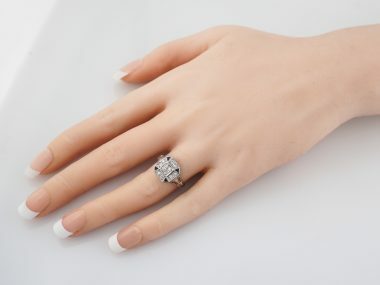 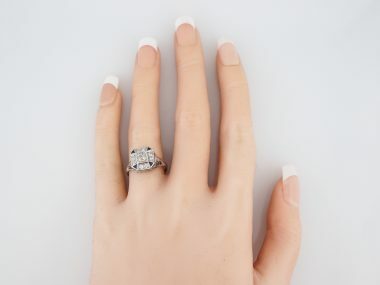 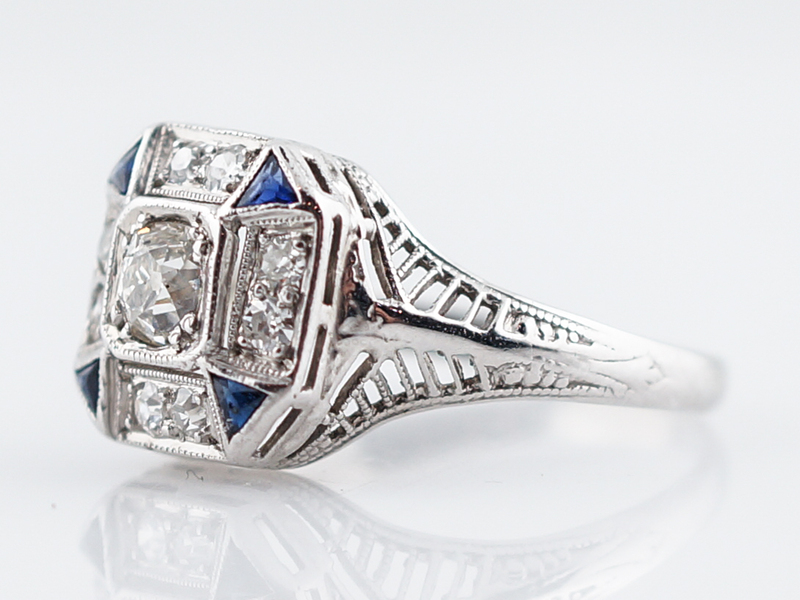 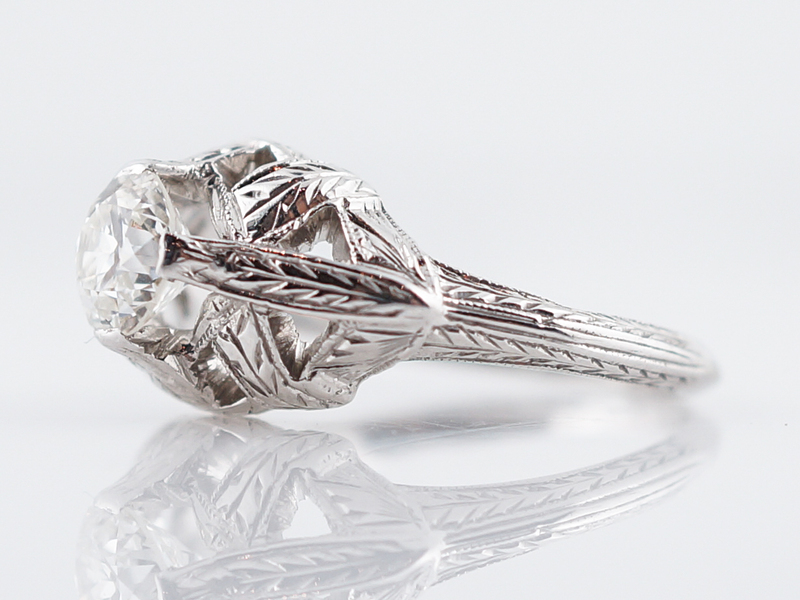 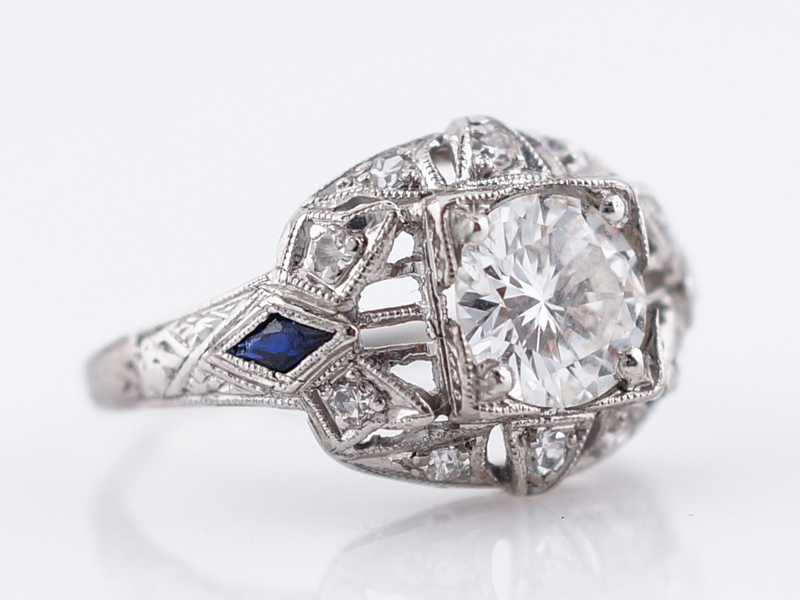 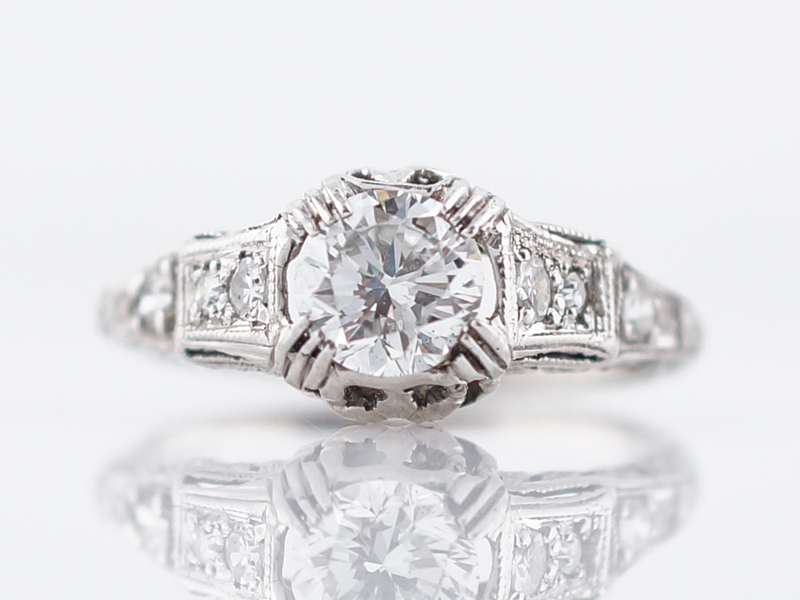 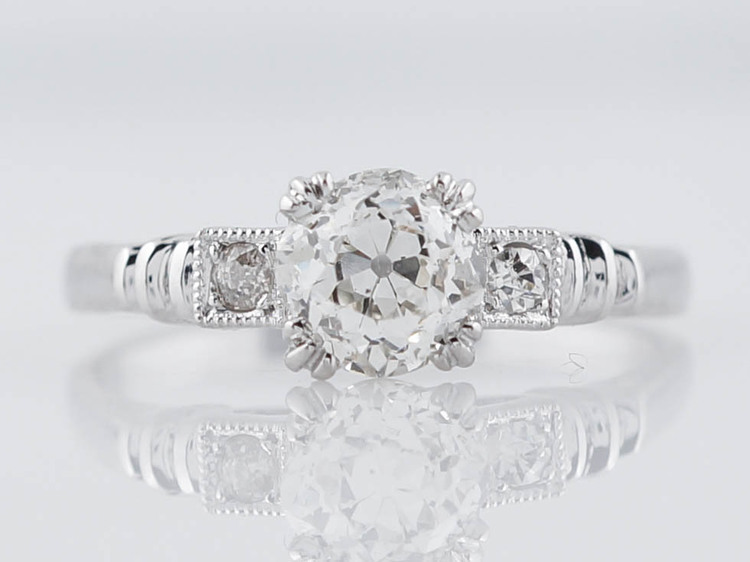 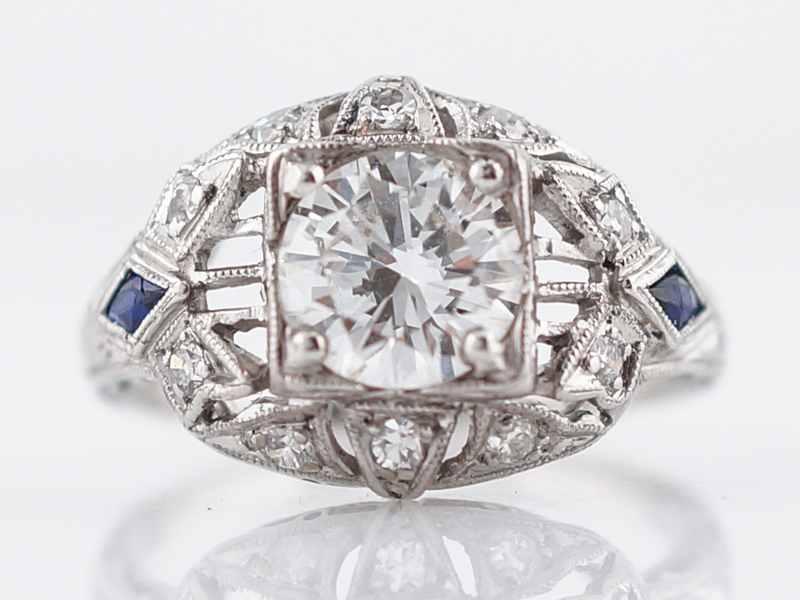 This finely crafted 18k white gold Art Deco setting features a .26 carat old European cut diamond bead set in its center. 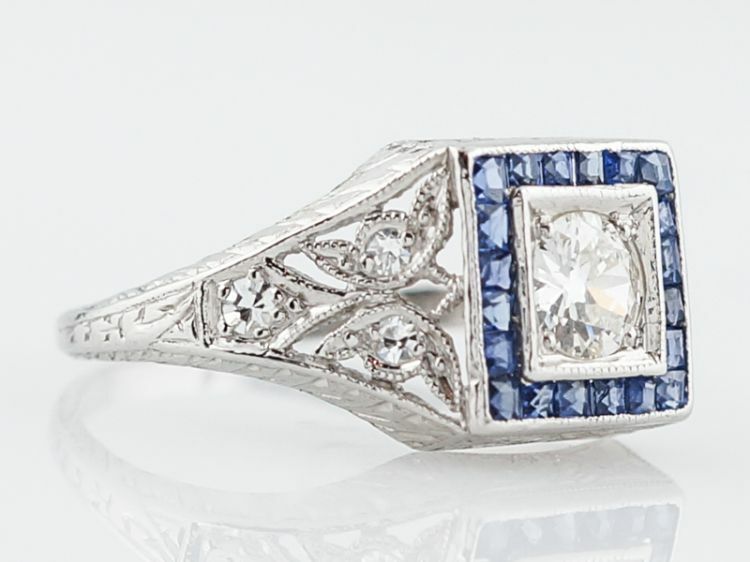 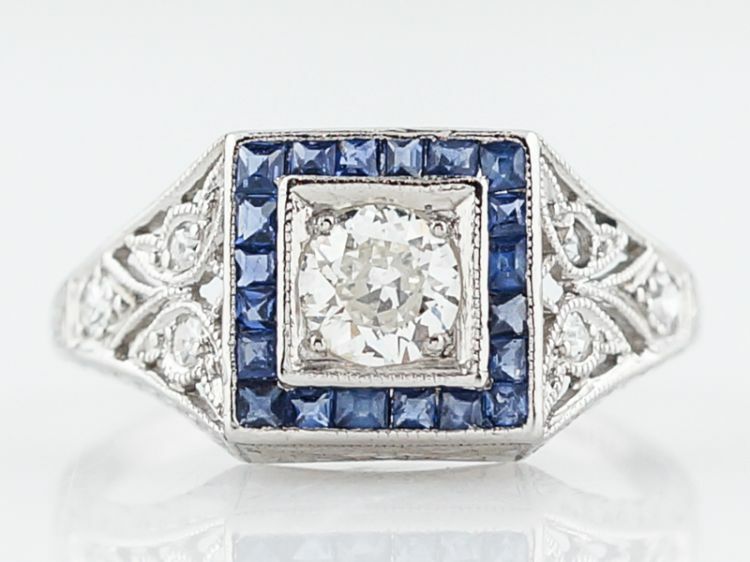 Bezel set into each corner is a vibrant trilliant cut blue sapphire. 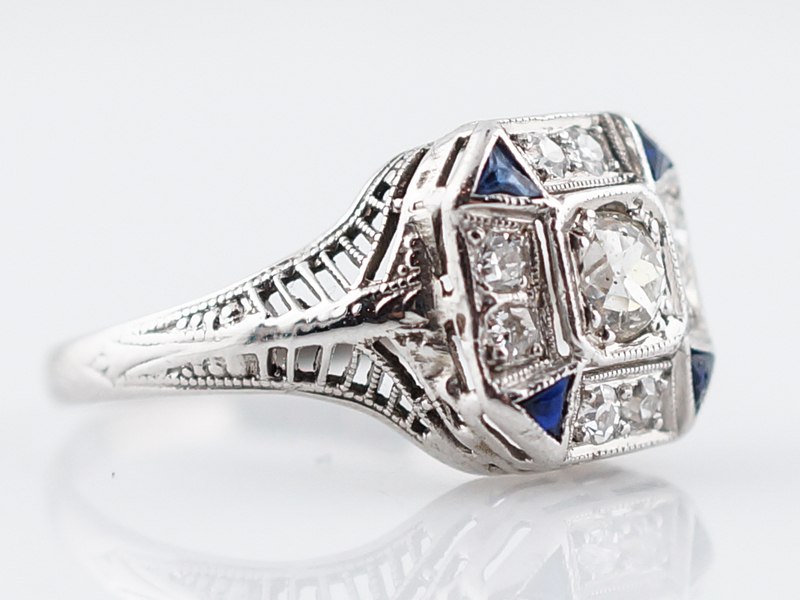 Adding even further detail, eight single cut diamonds are further set above, below and to each side giving this ring so much life, detail and sparkle!